Please contact me if you have connections to Radzilow, and I don't already know about you. 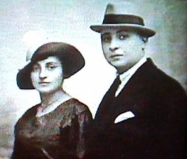 I have a lot more material and information about Radzilow families that is not online. If your family was from Radzilow or you had branches in this town, I will surely have additional data and actual records for many of your ancestors and relatives. as well as on a two-hour documentary which featured Radzilow. The town had a population of 671 Jewish residents in 1921. Some residents estimated the Jewish population at about 1,000. Some information from: Where Once We Walked. A Guide to the Destroyed Communities of the Holocaust, by Gary Mokotoff and Sallyann Amdur Sack. Published by Avotaynu, Inc., Teaneck, New Jersey, 1991. Assuming the general population grew steadily from 1857 to 1921, and taking into account that Jews started to emigrate in much larger numbers during the early 1900's (there was a huge drop in their percentage of the population after WWI, from 55% to 34%, and therefore, they accounted for a large drop in the overall population as well), one can extrapolate that, at its high point, from 1905-1914, there were over 2,000 persons living in Radzilow, with Jews making up over 1,000 of those. Take note that these figures do not include surrounding farms and villages right outside of the town itself (see note for 1885). - Invading Swedish armies sacked the town in the 1650's. In 1708 Poland became the scene of a war between Russia and Sweden. Swedish armies, commanded by King Charles XII, occupied the Radzilow area and built a fort to command the Biebrza crossings, about 15 km. upstream from Radzilow. - In 1885, the parish of Radzilow, belonging to the dekanate [deanery of the Catholic Church] of Szczuczyn, numbered 2,435 "souls" [believers]. 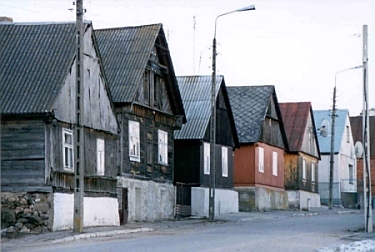 The community of Radzilow, including the town and nearby villages, numbered 4,497 inhabitants. Located on Piekna Street. The year of its foundation is unknown, covering a surface of .56 hectares, it's not enclosed, it's desolate, and there are no tombstones; local authorities had used it as (or converted it to) a garbage dump. Translated from: Remembrances & Monuments of Jewish Culture in Poland. Assembled, compiled and introduced by Przemyslaw Burchard. Warsaw, 1990. The Synagogue, made of wood in the 17th century, stood until the Holocaust. and about events occurring in the school and about town. It is in Polish. From: Where Once We Walked. A Guide to the Destroyed Communities of the Holocaust, by Gary Mokotoff and Sallyann Amdur Sack. Published by Avotaynu, Inc., Teaneck, New Jersey, 1991. Take note that this method only finds exact spellings. Many surnames are mentioned throughout the web page with many different spellings, from the original Polish spellings, to Yiddish variants, to transliterated English versions. Surnames in pages like the Ellis Island records can be completely off. While most town name references are standardized to the current Polish spellings, in certain cases some towns can be found using different spellings, depending on the context. If you enter a certain spelling for a given surname and don't find anything, that doesn't mean it can't be found under alternate spellings. Not to mention the fact that less than a quarter of my material is online, and I don't put a single vital record (birth/death/marriage) on the web page. So, if you believe your family came from Radzilow or any nearby town in Lomza gubernia, please contact me and I will be glad to help you. Important Note: It doesn't matter if the search result comes up empty because of alternate spellings or because it's not on the web page itself. If your family came from Radzilow or nearby, I almost certainly have more information, so please contact me regardless. Copyright © 1999-2018 by Jose Gutstein. All rights reserved.